When one door shuts, another one opens, as the old saying goes. In the case of the break-up of the band Allo Darlin’, one door closed and four solo careers began. Paul Rains is something of a omnipresent guitar wizard on the London-scene, Mikey Collins and Bill Botting have both shared solo offerings, and now, probably the most aniticipated next move of them all comes in the shape of Elva. A collaboration between Elizabeth Morris and Ola Innset, of the Norwegian band Making Marks, Elva are set to release their debut album in April, and have this week shared the first taste of it. It’s hard not to compare the sound back to the pairs other projects, Elizabeth’s plaintive vocals remain as wonderfully comforting as ever, while Ola’s guitar work has us digging out that excellent Making Marks record from a few years back. For everything that stays the same though, something new comes along; there’s lush strings, country-licked drum arrangements, even what sounds suspiciously like an accordion. 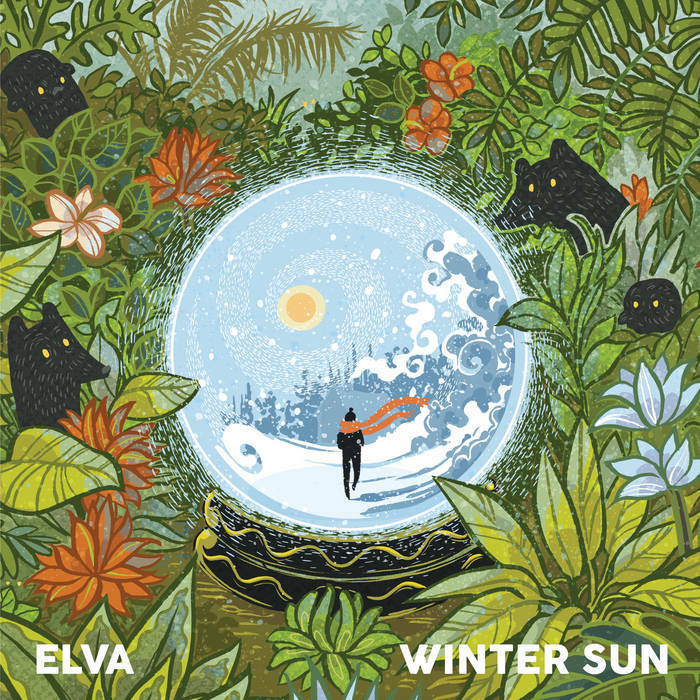 The record’s title, “Winter Sun”, feels hugely apt for Elva’s sound, Americana via Australia and Norway, there’s a warmth and a comfort to their sound, yet you feel there’s something darker lurking beneath. We can’t wait to see where Elva take us next. Taken from upcoming album “Winter Sun”, out on Tapete Records on April 19th!